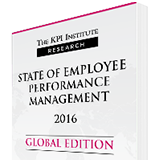 The State of Employee Performance Management in 2016 report illustrates the latest individual performance trends, as well as performance measurement and reward practices, based on insights shared by 1000+ participants. Transform your individual performance management system! 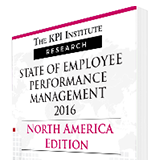 Explore the research findings collected from your geographic region! 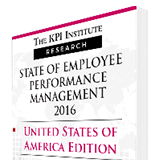 Are you interested in discovering more details about The KPI Institute? Click here!